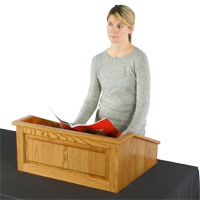 This portable dark oak pulpit doubles as a church or business fixture, depending on the lecturer's needs. 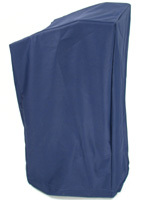 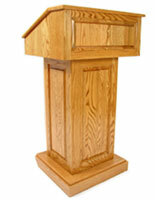 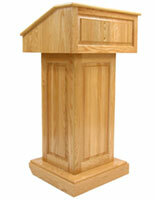 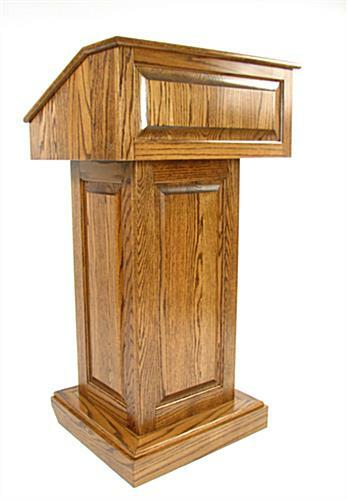 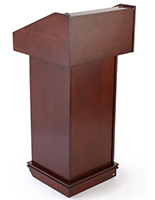 Buy this wholesale lectern with its rich finish at an affordable price here. 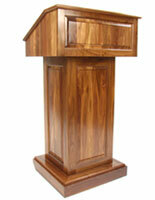 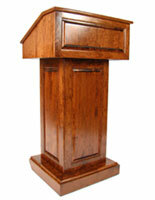 This dark oak pulpit that is a wood talking stand has a removable middle shelf for presentation equipment. 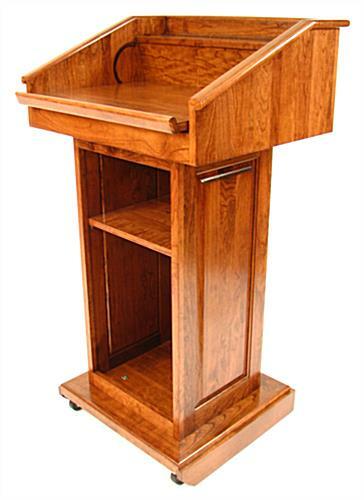 This wholesale wood lectern that is a presentation kiosk has a generous reading surface for taking notes, and storing binders or books. 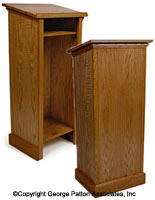 This oak pulpit, like a church podium, features a removable middle shelf for presentation equipment, and a large storage area, plus cutouts to hide unsightly wires or cords. 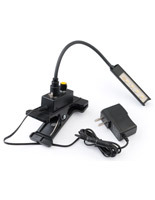 There are even hidden caster wheels, just tilt the unit backward and roll.